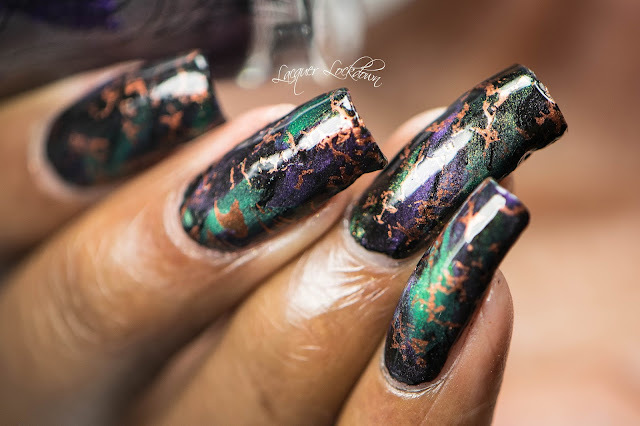 Lacquer Lockdown: Masura Magnetic Halloween Nail Art Abstract + Tutorial! 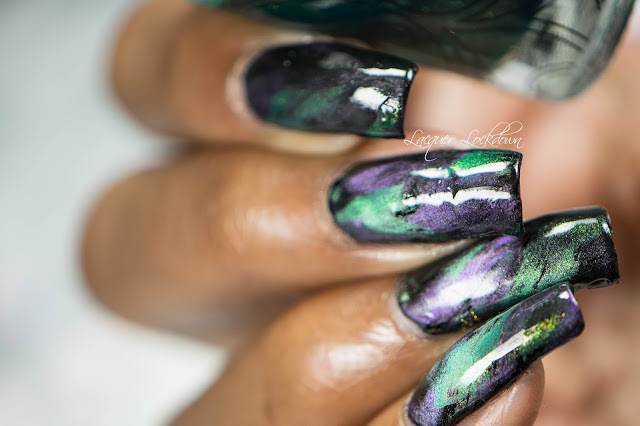 Masura Magnetic Halloween Nail Art Abstract + Tutorial! Sooooo polish pals it has been way too long! Did you miss me? I have a raging cold right now and fall as well as work has made me its b*^&ch. Rofl! No seriously I've been ground to basically dust but I had to at least show off some of my cute mani's from the halloween season including one that you can totally rock anytime and not just for Halloween. Plus I finally got to use my precious golden baby Masura's. The tale of how I obtained half of my collection is harrowing to say the least, I'll chat about that later, however the results yielded were totally freaking worth it! 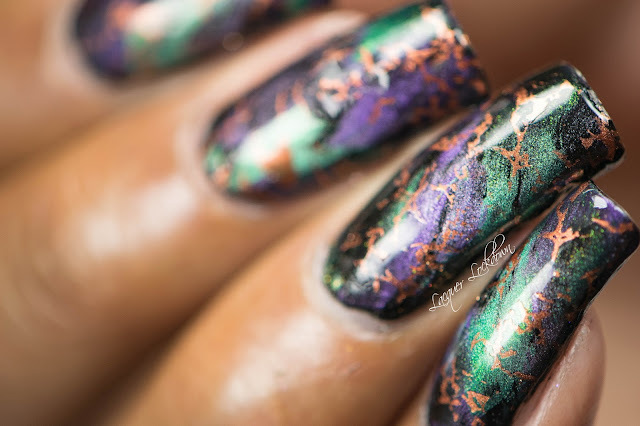 So I got my Masura's in a combination from a friend via Germany by way of Ukraine, that ended kinda badly and made me really sad despite what I know was an earnest and frustrating attempt to deliver the polishes to me, and via Dope Nails Russia. The ones that got shipped by my friend ended up with 5-6 polishes smashed up and 2 or 3 more missing entirely from the box. I think they were just taken out of the box by customs because when I got the box polish was leaking from it :( Despite that I still really wanted these polishes so I saved up again and ordered a few more including some of the ones that got smashed up in the first attempt. My order from Dope Nails was packaged so carefully and perfectly everything got to me in excellent condition. 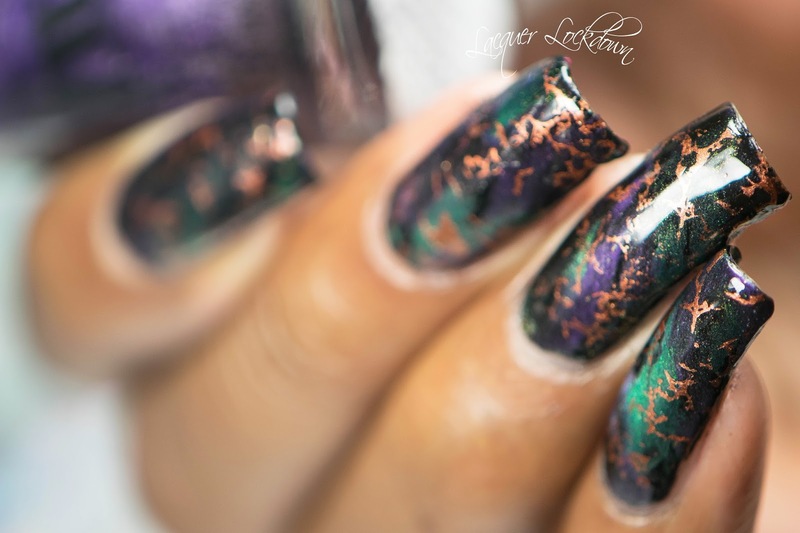 I'd been wanting these polishes for so long, I want the last collection too, that I was desperate to get them. If I were you I'd go a more official route such as via Dope Nails now called Polish Molish or Hypnotic Polish. They are worth it completely! I will say thought I had to wait a couple months minimum to get my order having chosen the cheapest shipping method. At this point we, not the royal darlings but us little polishers based in the US, still can't order from the Masura website directly so this is your best bet to getting these polishes if you really want them. 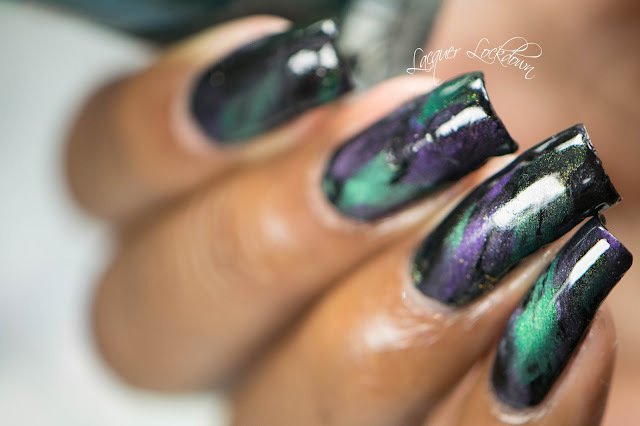 Even though I created these with Halloween in mind they are pretty abstracted and funky so I can definitely see myself wearing this design anytime of the year or changing up the colors as I please to change up the concept completely.